Maninagar, in Ahmadabad, has been in the spotlight of investors over the last few years. A number of residential complexes have been developed by prominent developers in the region, keeping the interests of the growing population in Ahmadabad. As an important commercial area, Ahmadabad has attracted merchants over the decades. With time, the social infrastructure in Maninagar has undergone a change, with well-connected streets, improved transportation facilities and upgraded security systems. 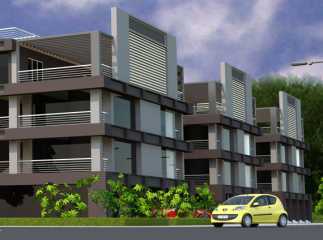 Buying a flat in Maninagar Ahmadabad comes with a number of advantages. From seamless connectivity to the commercial areas in Ahmadabad to the places of entertainment, you will find every important aspect to make your life happening. The Ahmadabad-Mumbai railway line passes over the area, ensuring a fast reach to the city. Other important areas in the region are the Nagina Wadi Kankaria Lake. Besides, the Ahmedabad-Vadodara Expressway provides transportation facilities to other important places around the region. Residents willing to buy property in the region have another reason to be happy. Maninagar has got a metro railway station, being the only locality in the city to get metro connectivity. The state transportation system and municipal transport system are also well-developed, providing deep connectivity to all the regions in Ahmadabad. When you invest in the property in Maninagar Ahmadabad, you will get access to a large number of shopping malls, multiplexes, places of entertainment and so on. The Bus Rapid Transit System (BRTS) hub has also added to the ease of transportation of people in the region. Residents in this area also have reach to NH-8. Altogether, life in the residential complexes in Maninagar is a mix of luxury and class. Educational and healthcare infrastructures in the region are well-developed. The Ahmadabad University serves as a reputed platform of higher education. The important schools in the region include St. Bosco English School, Cosmos Castle School, Bright English School, Divine Buds School and Doon International Public School. The reputed hospitals located close to the residential complexes include Shruti Advance ENT Hospital, Sardar Patel Hospital, Jhanvi Fracture and Orthopedic Hospital, Siddhi Vinayak Hospital, and Shraddha Medical Nursing Home. The interiors of the apartments are sophisticated, furnished with elegant fixtures. With wide balconies and large windows, you will get a perfect living infrastructure when you move to the apartments. People with an inclination towards green living will enjoy the large open spaces in the complex. The amenities in the residential estates include gyms and swimming pools, apart from other fitness facilities. You can enjoy your mornings, taking care of your health. You can also opt for jogging and cycling, in the respective tracks in the complex. Residents in these complexes find quality time for socialization in the clubhouse. You can also enjoy your time in the parks and green areas. Children can have a good time in their dedicated play areas. People can also arrange for conferences in the banquet hall. If you are willing to invest in the properties in Maninagar Ahmadabad, this is the right time for you. The prices of property in this region are rising rapidly. Make the best of your financial resources and strike a profitable deal now.